In May 1645, after what was arguably the bloodiest battle in the English Civil War, the Parliamentary stronghold of Leicester had fallen into the hands of the King. But the Royalists had done more than just take the town; they desecrated it and robbed it of all its worth. There was pillage and murder. Leicester was totally destroyed. The people of London were appalled at the atrocities that had taken place in Leicester, and Parliament was alarmed by the loss of a strategically-placed town in the heart of the English countryside. Leicester, Newark and Ashby had become a core of new Royalist strongholds in the Midlands. 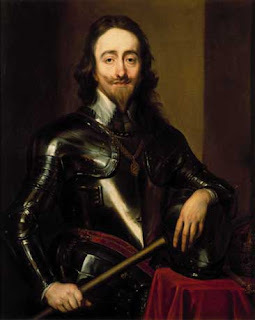 Using overwhelming force to take Leicester, King Charles I had inflicted a bitter blow on the Parliamentary cause, led by Oliver Cromwell. As dawn broke on the day following the siege of Leicester, the noise and smoke rising up from town gave way to appalling sights and sounds. There were the quiet sobs of the raped and the hysterical screams of the widowed, while the wounded lay dying in the streets. However, the cries and groans of the defeated were drowned out by the drunken songs of the victors. Every house, shop and inn was thoroughly looted. The pockets of every Royalist soldier, it seemed, were lined with gold pieces, and every hand clutched a bottle of wine or ale. Corpses of men and women lay in the dirt in every street. Dead and dying horses blocked the narrow roads and were eventually piled up at each of the four town gates. Tiles, bricks, thatch and cannonballs were littered everywhere; the town lay in utter ruin. 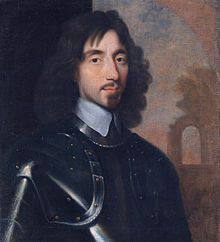 The Royalists had suffered a loss of 30 officers on the fateful day of May 30, 1645, including the celebrated Colonel Saint George and Major Brunnington, while the Parliamentarians lost only five principal officers. At least 200 Royalist soldiers were also killed, outnumbering the 109 lost in the defending army. But the hundreds of Leicester civilian casualties were by far the greatest loss. The historian Clarendon wrote: “The conquerors pursued their advantage with utmost license, and miserably sacked the whole town without distinction of people or places, to the exceeding regret of the King”. The capture of Leicester was a great triumph for the Royalists, an event that did a great deal to revive their spirits in a war they had been heavily losing. It is recorded that 140 cartloads of goods were confiscated from Leicester shops. Nine pieces of ordnance, 1,000 muskets, 50 barrels of gunpowder and 400 horses were also captured. 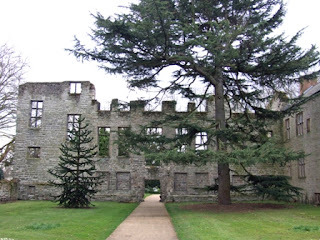 Worse still for the people of Leicester, on June 1, 1645, the King, while staying at Cavendish House (in Abbey Park) sent a demand to Leicester’s mayor for a further £2,000. But having Leicester in such a ruinous state was no use to Charles – its condition made it far too easy to recapture. So Lord Loughborough was appointed as governor of the town, with Matthew Appleyard as his colonel. Together they were given the job of refortifying Leicester, and defending it from any counter-attack. On June 4, the King left Leicester and headed south with his men, with the intention of relieving the siege at the Royalist capital of Oxford. He left 1,200 men as a garrison in Leicester. The town began to refortify with “two parts of the town” being pulled down to make the other part, the Newarke, impregnable. Lord Loughborough also exchanged prisoners taken in the Leicester siege for 800 Royalists taken at Evesham, Warwick, Coventry and Stafford. And like the Parliamentarians did before the siege of Leicester, the Royalists conscripted all able-bodied men aged between 16 and 60 to serve the King. Reportedly, 400 did so. 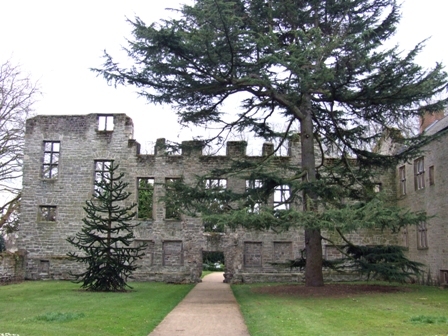 On leaving the town, the King ordered Cavendish House to be burned down, to prevent its use in any future siege. The ruins of this once-splendid house, built by the Earl of Huntingdon from the remains of Leicester Abbey, still remain in a corner of Abbey Park. They are a standing tribute to the wanton destruction of the Civil War. But what about the Parliamentarian side? How would they respond to the loss of Leicester? On June 2, 1645, the Earl of Northumberland reported to Parliament that Leicester had fallen. He advised that Lord-General Fairfax should abandon his siege of Oxford, meet the King’s army in battle and regain Leicester. A petition was presented to the House of Commons, urging Fairfax and his army to avenge the cruelties practised in Leicester, before its defences were back up to scratch. The House agreed, and Fairfax lifted his siege on Oxford and marched towards the Midlands. King Charles was unaware of Parliament’s plans. He was travelling southwards, to protect his capital – Oxford. But after taking Leicester, the King’s army was badly depleted. He decided to stop off at Market Harborough to recruit more troops, and wait for any stragglers. It was here that Charles learned that Oxford was now safe, and that Fairfax was on his way to meet him. Charles and his army travelled to Lubenham, to the west of Harborough, and then south into Daventry, Northamptonshire, where they arrived on June 7, 1645. They remained there for six days. By now Fairfax and his 14,000-strong army – 5,000 more than the Royalist force – were just 25 miles away. Faced with an experienced and dedicated army, Charles made the decision to retreat to Belvoir Castle, to try to draw in more soldiers from the nearby Royalist towns. The Royalist army backtracked with the King, stopping off for the night at Lubenham. Prince Rupert of the Rhine and his army then marched into Market Harborough on Friday, June 13 – unlucky for some, especially for the Royalists. At 11pm that night, Charles was woken to be told that the village of Naseby, just over the county border in Northamptonshire, had been captured by Parliamentary troops. The enemy was too close for comfort, so Charles hurried into Harborough to meet up with his men, whom he advised to face up to Fairfax and his New Model Army. The force, now the best known of the various Parliamentarian armies, differed from the norm in that it comprised professional soldiers led by trained generals, rather than members of the aristocracy. Charles had decided that defeating Fairfax, after taking Leicester, would allow him to march triumphantly back into Oxford. So Prince Rupert led his armies towards Naseby on the Saturday morning, June 14. He decided the Royalists’ defensive position should be on the first ridge south of Harborough, between Great Oxendon and Farndon. From here, he could see Fairfax’s men on Naseby Ridge. The battle of Naseby was about to begin. Rupert began the pre-battle manoeuvring by making what looks like a tactical error. For reasons unknown to us now, he decided to leave his strong, defensive position and move forwards three miles to the next ridge called Dust Hill, just south of Sibbertoft. Facing them was a huge Parliamentary force, including the Parliamentary Foot under Skippon, the New Model Foot under Fairfax, Ireton’s cavalry on the left wing and, on the right, the New Model Cavalry under the command of Cromwell himself. The Royalists were outnumbered 9,000 to 14,000. Both sides moved forwards and, within minutes, battle commenced. 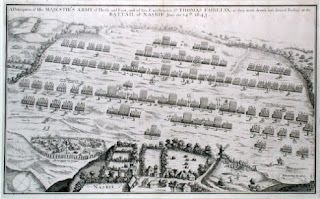 The Royalists attacked first, sweeping Ireton’s left wing from the field and then breaking through Skippon’s regiment. It was an initial success, but they had not yet tackled the New Model Army. It was this wing of the Parliamentary army which turned the tide. They successfully charged and attacked the Royalists with great strength and agility. After fierce combat and hundreds of Royalist losses, the routed King’s men began to flee the battlefield. Whole companies began to surrender, knowing they were outnumbered and out-skilled by Fairfax’s powerful legion of well-trained soldiers. Meanwhile, Prince Rupert had gathered some of the remaining men together and made his way back to the scene of the battle. Stopping about a quarter-of-a-mile behind his original line, he and the King managed to get some sort of formation together. However, Cromwell formed his men up for a second charge. On seeing this, the Royalists scattered, heading back towards Leicester. On the retreat, many Royalist coaches and wagons overturned in the mud and soldiers risked their lives to pick up the gold looted from Leicester a fortnight before. If what the Royalist army did to the inhabitants of Leicester was cruel, by any account the Parliamentary response was just as bad. On fleeing from the Parliamentary troops, many Royalist camp followers and soldiers’ wives were caught by the New Model Army. One hundred were murdered in cold-blood, and many more were marked as “whores” by having their noses slit to the bone and their faces cut. Whether this was in revenge for what happened in Leicester is unknown, but it seems that cruelty towards the defenceless was an integral part of the Civil War on both sides. The King and Prince Rupert fled to Wistow Hall, between Kibworth and Wigston, where they swapped their ornate saddles and bridles for plain ones. They rode to Leicester and then on to Ashby-de-la-Zouch, where they set up quarters and slept for the night. The retreating Royalists who were following in their wake traversed countryside lanes as they headed for Leicester, but were caught by Parliamentary troops and cut down in their hundreds. About 400 were killed altogether between Market Harborough and Leicester, in addition to the 700 Royalists dead on the Naseby battlefield. The biggest loss to King Charles, though, was some 5,000 infantry, all taken prisoner into Harborough for the night. After Naseby, the King also lost all his baggage, 9,000 weapons and all his artillery. The Battle of Naseby was the beginning of the end for King Charles. But, so far, he still held Leicester. On Sunday, June 15, Fairfax and his men were marching towards Leicester. The plan was to retake the strategic town – just as the House of Commons had ordered. They stayed the night at Great Glen, while Charles had already left Ashby and was heading westwards. The following day the Parliamentarians surrounded Leicester and Fairfax sent a “surrender” demand to the town. The Royalists would not back down, though: They were armed and waiting. So on Tuesday, June 17, Fairfax raised a battery of cannon on the Raw Dykes, just as Prince Rupert had done in the previous month. With the aid of two cannons and a culverin (a long range, long-barrelled cannon) taken at Naseby, Fairfax began to bombard Leicester’s Newarke Wall at exactly the same spot the Royalists broke through 18 days previously. Before the morning was out, a large breach was made and Lord Loughborough had to decide whether to resist, or to surrender. Without hesitation Loughborough surrendered, unwilling to sacrifice himself and any more men for the King’s lost cause. He sent his trumpeter to the Parliamentary camp to propose conditions for the surrender of the town. Fairfax agreed, but discussions continued for the rest of the day between Lord Loughborough and the Parliamentary colonels Pickering and Rainsborough. Fairfax was unsure what the outcome would be, and didn’t know whether the Royalists were simply playing for time. So he continued with preparations for a siege; constructing grenades and raising scaling ladders around the town’s defences. He may also have been worried that the King, with his acquired force of about 4,000 men, might be coming to re-engage him. However, at 2am on Wednesday, the surrender was formally agreed. The Royalists were guaranteed safe passage to Lichfield and Ashby, and the officers were allowed to take their horses and private arms with them. At 10am that same day, the Royalists marched out of Leicester for Lichfield, leaving behind 14 cannons, 2,000 weapons, 50 barrels of gunpowder, much ammunition, 500 horses, many carriages and baggage and 30 stands of colours. Leicester was back in Parliamentary control. For King Charles I, the end was nigh. His success in the siege of Leicester had, ironically, only hastened his downfall, having precipitated the crucial Battle of Naseby. But it wouldn’t be until June 1646 that Charles would finally give in to Parliament and put an end to the Civil War. After Leicester was taken, he bitterly criticised Lord Loughborough for surrendering the town. However, it was an event that led to great rejoicing in Parliamentary London, where a day of thanksgiving was voted for. The “Relief of Leicester” day is June 19, if you want to celebrate it yourself next year! A collection was also ordered in London churches to help Leicester inhabitants who had suffered at the hands of the Royalist troops. A further £1,500 was granted to the town out of the estates confiscated from the Royalists. A few days later, Fairfax marched his army northwards in search of the King, leaving John Needham as governor of Leicester. There is only fragmentary evidence regarding the repair of the town. Money was spent on the demolition of the bulwarks, and on repairing the streets; though money was still short, and improvements happened very slowly. The town committee said that 120 houses had been pulled down when Leicester’s defences were being strengthened by the Royalists, and that the poor who had lived in them were now homeless. The committee called on Royalist estates in the county to meet that expense, and also felt constrained to lower or cancel rents on damaged properties. From May to June, 1645, Leicester experienced what is surely the biggest physical and emotional upheaval in its history. Prior to the first siege, Leicester was already poverty-stricken. In resisting the Royalists so stubbornly, the half-destroyed town reached its lowest point in centuries. It had suffered for backing the Parliamentary cause: In wealth, in property and in people, and was to be economically weak for many years to come.